Important Note: Next generation SQL MYOB products, i.e. AccountRight 2011 and 2012 do not integrate. 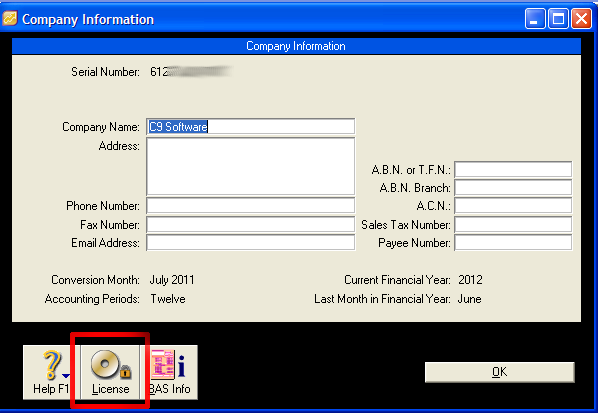 MYOB's latest product will not integrate with any 3rd party software, not just c9. MYOB have promised to rectify this oversight and make sure old integration features are eventually in the new product but no solution exists as yet. 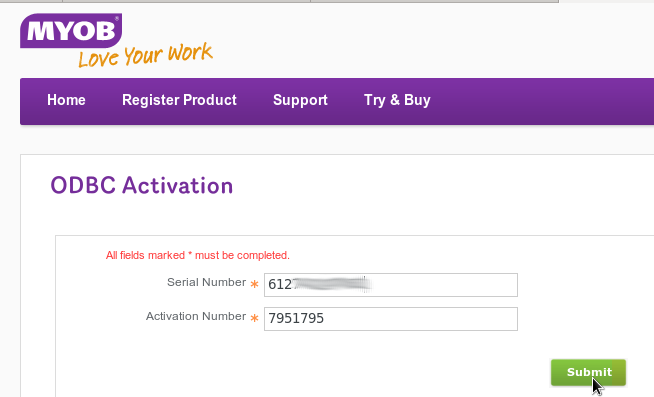 In the meantime, make sure you get an older generation v19 based MYOB product. If you get the wrong one, apparently MYOB can help you get an older one. But keep in mind you cannot migrate data in newer product back to the older product. 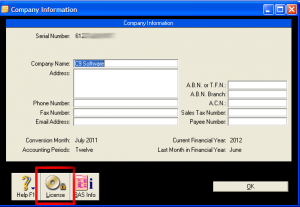 C9 now supports integration into MYOB Account Right. For integration to work you need to setup your Company files so that it grants permission to c9 to access and synchronize information. 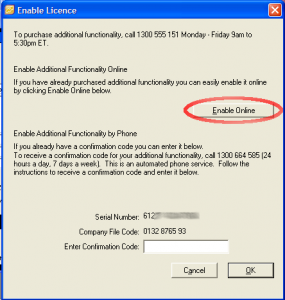 Premier edition of MYOB should not require these steps. 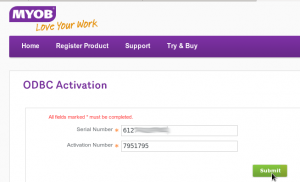 Firstly, you need to register online with MYOB to indicate to MYOB that you allow C9 to access your software. To do this goto the following website address. 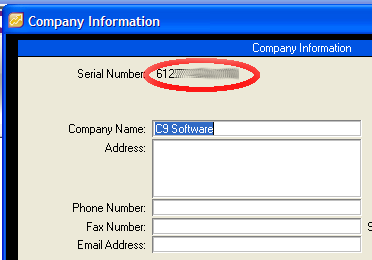 Go to the Setup menu and choose Company Information. 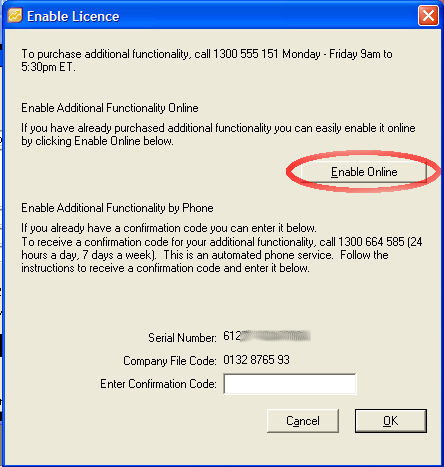 In the License window that appears, click Enable Online.